It’s called stand-up paddleboarding or supping! 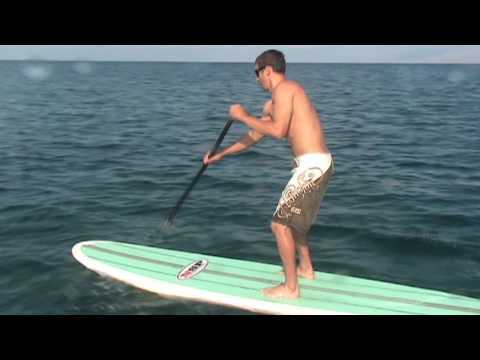 A sup board looks like a surfboard. That’s because when people first starting paddleboarding, they used surfboards! Over the last few years, custom boards have been created to maximize the sup experience. So what is paddleboarding? When you see someone paddleboarding in the ocean, it looks like they’re just standing on the water. But there’s a lot more to it than that. 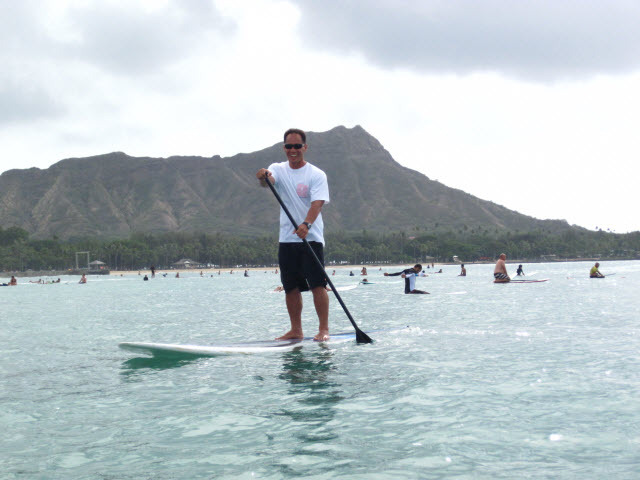 The paddleboarder must work to keep their balance while carefully driving the board forward with a long paddle. The paddle needs to be quite long, above 5-7 inches taller than the person using it. That length is also called a shaka, because it is the distance between your thumb and baby finger when you make a shaka (“hang loose!”) hand sign. Just like with any sport, there are lots of different ways to enjoy supping. For beginners, its best to start out in calm water so that your board can glide easily along without much resistance. Once you’ve developed your balance and strength, you can move up to paddleboarding in choppy or rough waters and even waves. Using a paddle while surfing adds stability, too. People love supping because it’s fun and easy to learn. In fact, it’s easier for women than for men! Most women have better balance then men, because of the way their bodies are built — and supping is all about balance. It’s a fun way to explore the water in a quiet, peaceful way. Surfing is difficult, and boats are noisy. But with a good paddleboard and paddle you can spend the whole day on the ocean — and if you get tired, lie down on your board for a rest! Today there are supping schools and rental shops in practically every part of the South Pacific. Next time you’re close to the coast, give it a try — I bet you’ll love it!